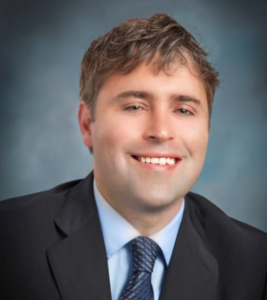 Joe Schuessler is an associate at Ullenberg Law Offices SC and represents clients throughout Wisconsin in asserting and defending their rights in and out of court. After graduating from Notre Dame Law School, Joe worked as a law clerk for the Attorney General’s Office in Chicago, Illinois, representing state agencies in various civil litigation matters, then worked for two years as an oil and gas landman researching and evaluating real estate title issues and coordinating the execution of lease transactions for Turner Oil & Gas Properties in Marietta, Ohio. Joe then worked as an associate attorney at Allen & Associates in Boerne, Texas focusing on oil and gas law until he returned to Wisconsin to live closer to family and joined Ullenberg Law Offices SC. Joe graduated from the University of Florida with a B.A. in Economics in 2008. Three years later, he graduated from Notre Dame Law School in South Bend, Indiana, receiving a Juris Doctorate degree. Joe has passed the Illinois, Texas, and Wisconsin bar examinations. Joe enjoys physical fitness, cooking, poker, golf, reading and, of course, following the Green Bay Packers.